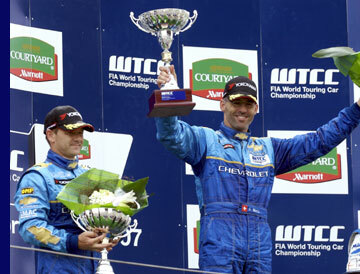 Alain Menu scored the first win of the season for Chevrolet in the 2007 World Touring Car Championship at Zandvoort today. Menu led from start to finish in the first race, closely followed home by team mate Nicola Larini. 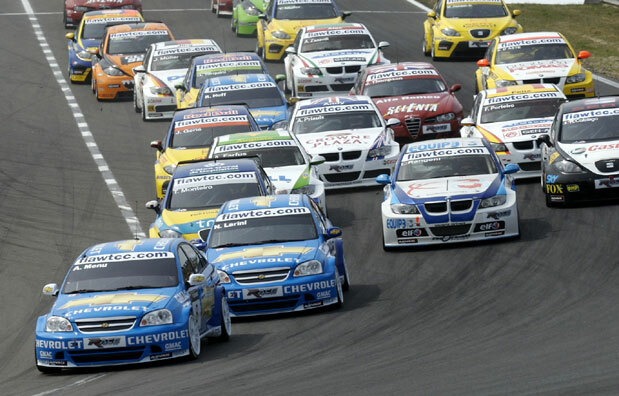 It was the first ever 1-2 win for Chevrolet since the make started in the WTCC in 2005. Rob Huff retired from race 1 while running in eighth when the steering broke as a result from a collision at the start and another big knock three corners preceding his retirement. In race 2, Menu unfortunately retired when the oil pressure dropped, while Larini used all his touring car experience to move up from seventh to fourth and score more valuable points. Huff, who started from the last row, enjoyed his race battling to 13th. Ray Mallock was delighted. “This was a fabulous start to the European season of the WTCC and a great start to our championship bid,” he said. 1. BMW, 60pts; 2. SEAT, 43; 3. Chevrolet, 35; 4. Alfa Romeo, 11.